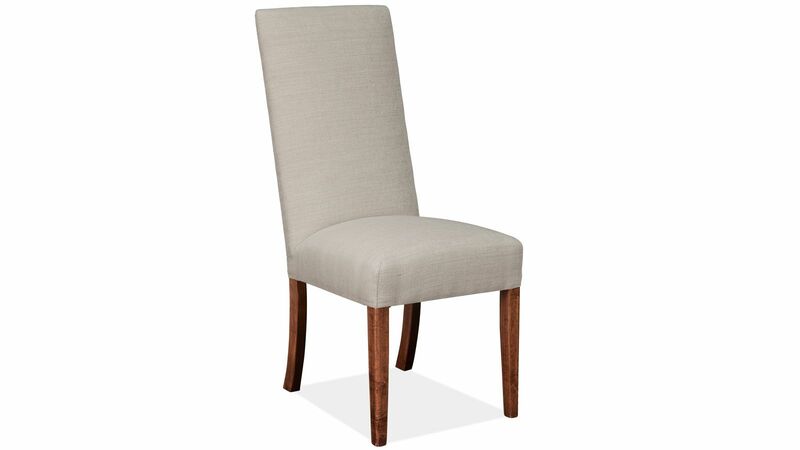 Experience the luxury of fine dining in your home with the Alexander Linen Dining Side Chair. 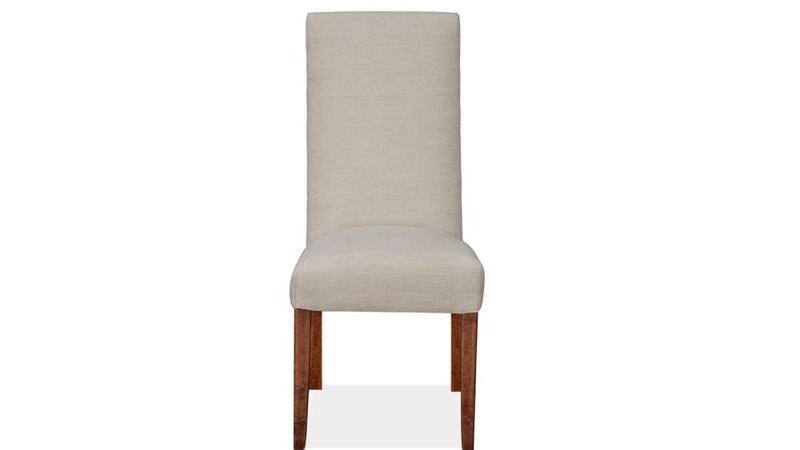 Serve your guests a delicious meal, as they sit in the comfort of this expertly crafted dining chair. You’ll never want to leave this American-made chair, once you’re able to take a seat and relax. With generous cushioning and support, this chair makes the perfect addition to your dining room. The off-white linen fabric adds an unexpected element of brightness to any space. The neutral color complements endless types of décor. Sink into this chair, as the high backrest supports every curve of your spine. 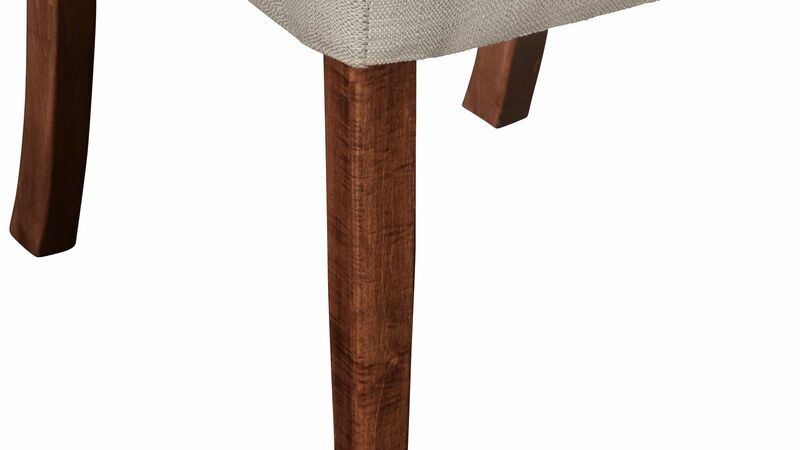 The four solid wood legs support the base of this chair. 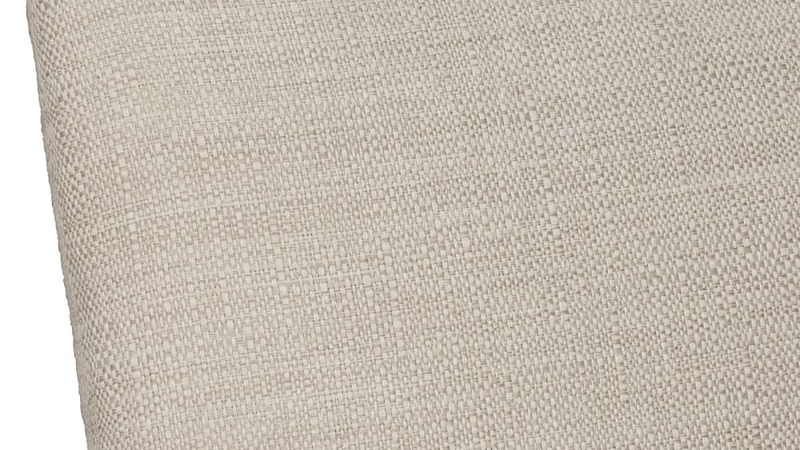 Off-white linen fabric matches many home décor themes. The cushioned seat and backrest provide ultimate comfort. The brown maple wood perfectly contrasts with the neutral fabric. Made with solid wood construction, the Alexander Linen Dining Side Chair boasts a flawlessly upholstered seat and backrest. Its four solid maple wood legs give the design a clean look. 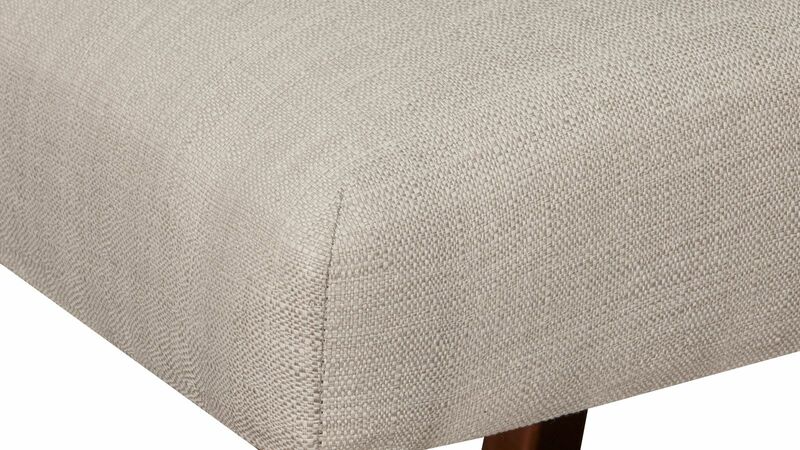 Featuring only the highest-quality materials, this chair will last for years. Bring life to your dining room TODAY with this exceptional dining chair. Send out those dinner-party invitations right away, because your friends and family can’t wait to test out this chair. With Gallery Furniture’s same-day delivery, you’ll be adding this piece to your home in no time.